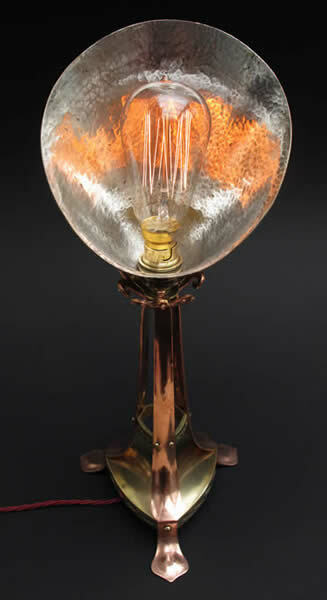 Electric Table Lamp No 7 c.1893. 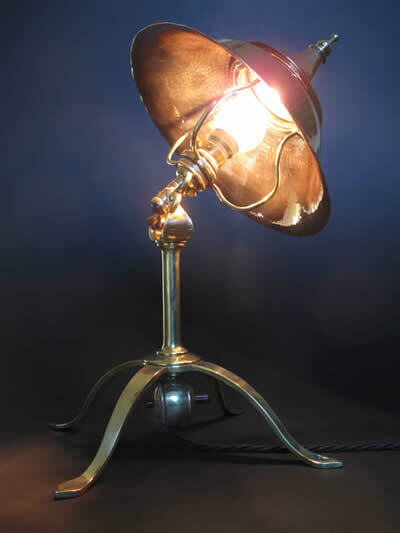 A movable reading lamp with hammered metal reflector. 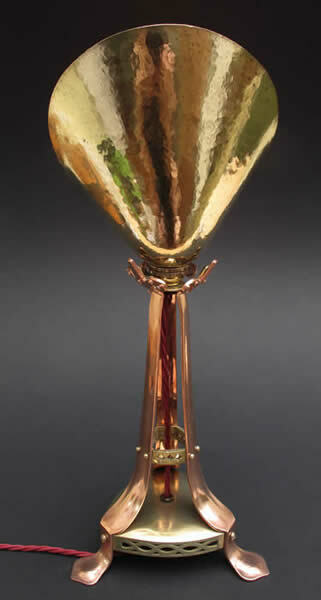 Arthur Dixon to CR Ashbee as a wedding present. Arthur Stansfield Dixon as the leading spokesman. 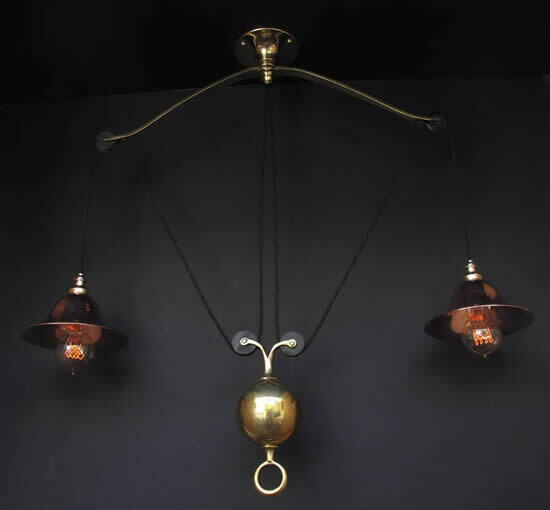 by the absence of decoration, except for the occasional cabochon. 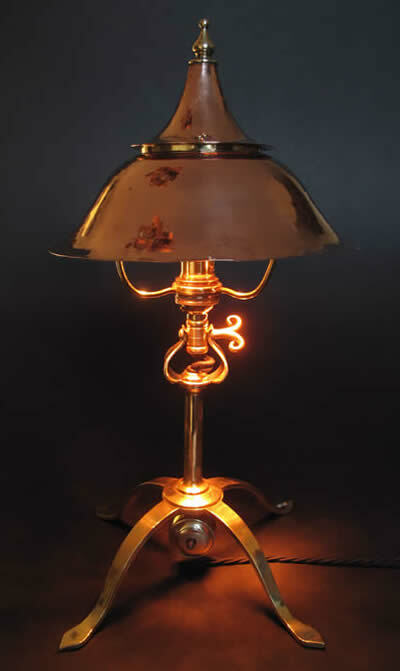 BGH No 43 Electric Table Lamp c.1895. 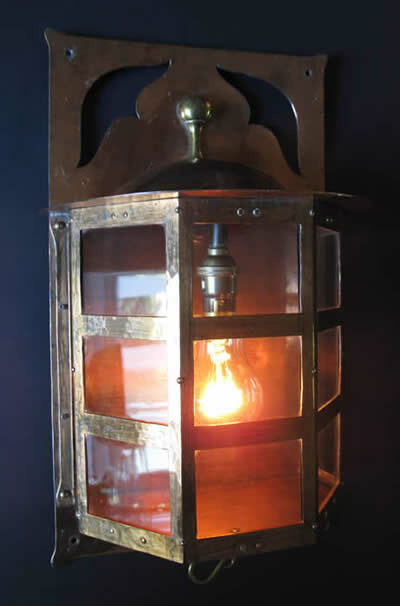 BGH No 6 Hall or Porch Lantern c.1895. 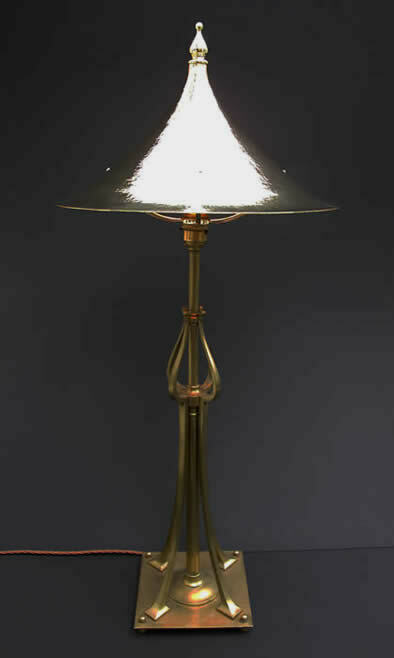 BGH No 59 Rise & Fall Light c.1895. 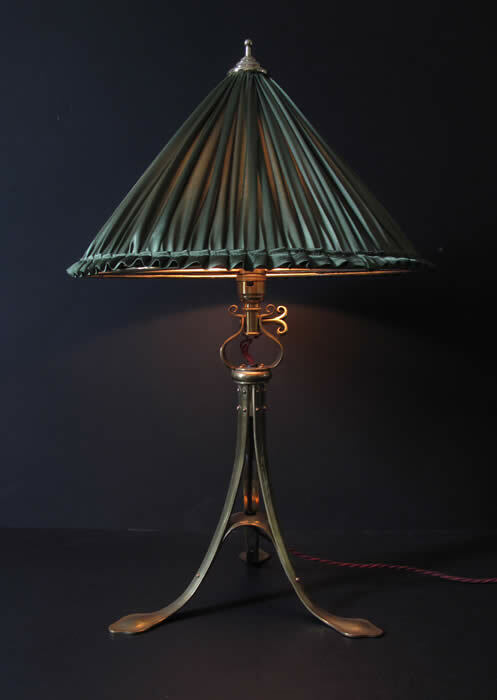 BGH No 8 Lamp c.1895. 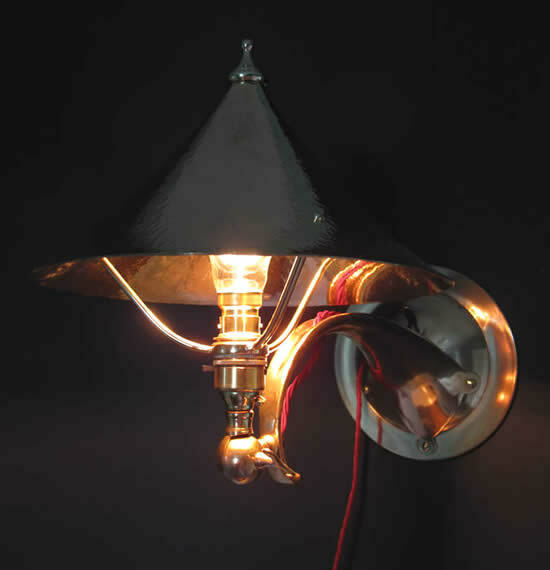 Combination Table / Wall Light No 44 c.1898. 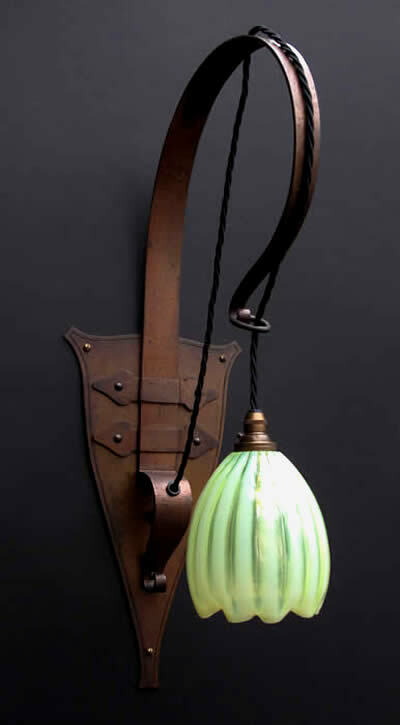 Wall Light No17 with vaseline glass shade c.1898. 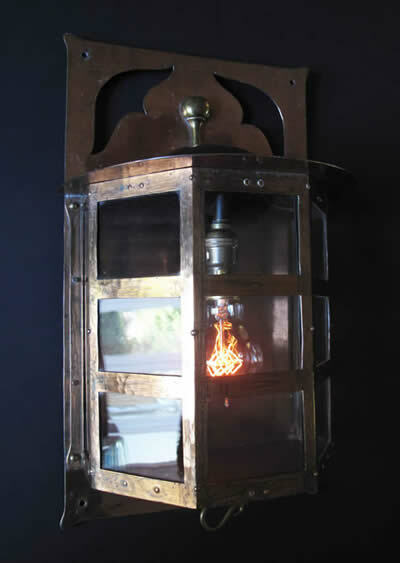 Combination Table / Wall light c.1895. 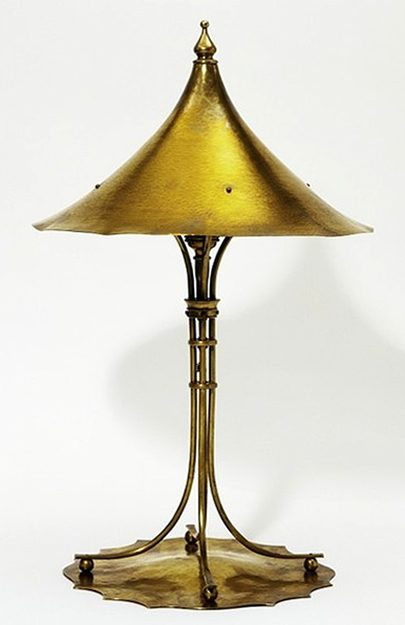 Combination Reading Lamp No 11, hammered brass with silk shade c.1895. 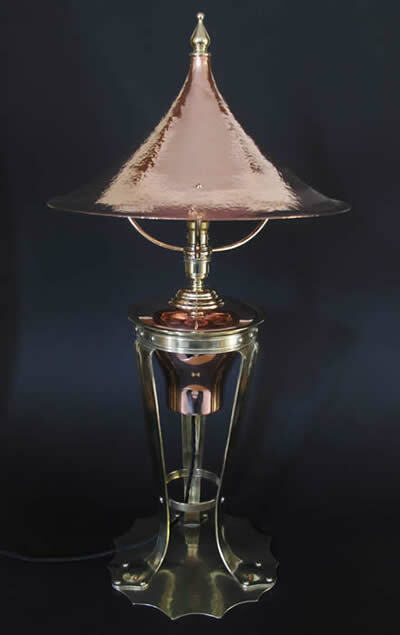 rotates to shield or reflect the light as required. 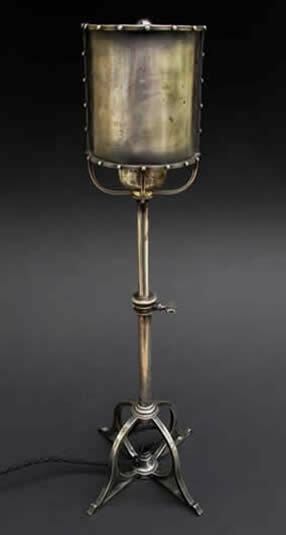 Silvered Dressing Table Lamp No 77 with rotating reflector shield and height adjustment c.1900. 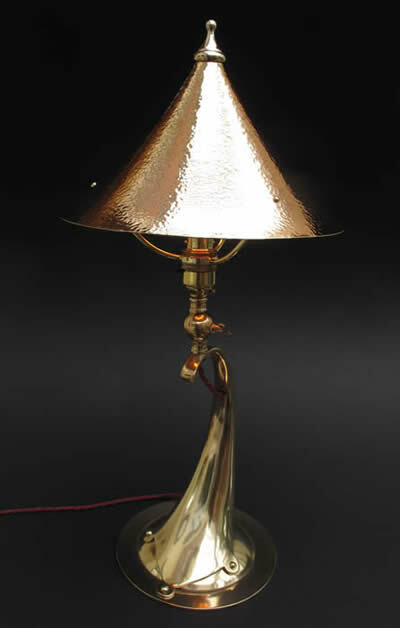 Cast brass Reading Lamp with hammered reflector shade c.1900.